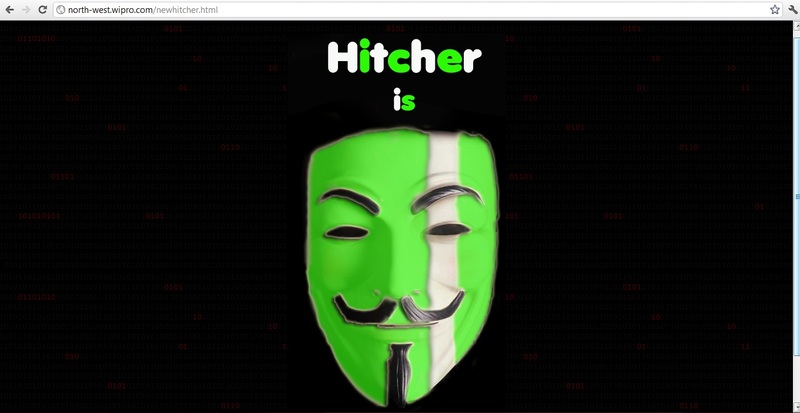 Wipro Limited Website (North-West) Hacked and Defaced By Hitcher, famous Pakistani Hacker. Wipro Limited is the first PCMM Level 5 and SEI CMM Level 5 certified IT Services Company India globally. Wipro provides comprehensive IT solutions and services, including systems integration, Information Systems outsourcing, package implementation, software application development and maintenance, and research and development services to corporations globally. Wipro Ltd. is today among the top business conglomerates in the world. With a $ 6 Billion turnover, it has diverse interests ranging from Information Technology to Infrastructure Engineering and Consumer Care. Wipro has a presence across 50 countries and employee strength of over 1 lac employees worldwide from over 50 nationalities.